“You built bonds that will last a lifetime, and there's no way to repay or express…how much you've done for us,” reads one tribute at the hub. “Your server gave me memories I won't forget…rest in peace,” says another. The image above was posted on Reddit by user remydesp. In a post on the official Emenbee website, friend Mod_masta paid their own tribute to Pendar 2, who “influenced more people than most others have throughout their lifetime”. 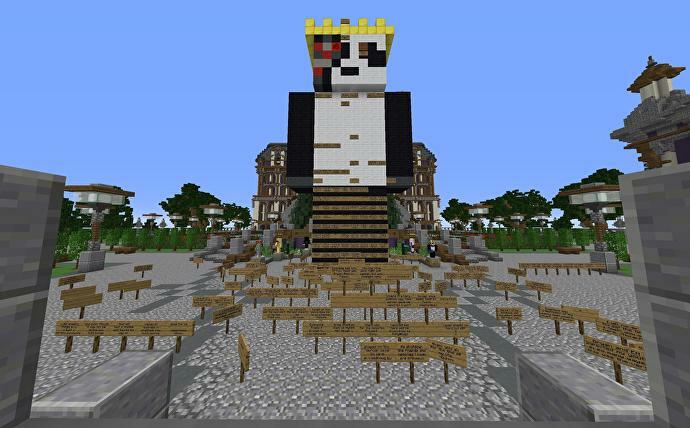 “For years, he dedicated his life to creating a Minecraft server that many of us called our home for a while. It started out as a survival server, and eventually grew to have up to over 10 different servers and 1,500 concurrent players. For the last couple years of the server's life, Bryan was not very active and many of you thought he had given up. The truth is that he was diagnosed with cancer. He endured chemo and surgery for several months, and eventually we thought he had been cured. But towards the end of last year, it unexpectedly came back. Recently, Bryan passed away,” Mod_masta said. “To me Bryan was a partner, a friend, and an amazing server owner. Working with him for several years, I learned how much of a genius he truly was, in both his knowledge that allowed Emenbee to become so popular and in how he excelled at developing with so little experience. Our time spent together on Emenbee together were some of the best years of my life. It was truly an honor to have a friend like him. He did so much more for the server than most players thought he did. I could not have done anything without him.